Native Americans were already using witch hazel when the Pilgrims first arrived in the 17th century. These early settlers soon learned the secret of using it to treat a variety of conditions. This extract comes from the leaves and bark of the Hamamelis virginiana plants. Today, the extract is still used for a variety of different purposes. Witch hazel is effective in treating acne because it contains tannins, making it a natural astringent that removes oil from the skin. It may help reduce bacteria growth and increase the speed of healing. The procyanidins, resin and flavonoids in it help reduce redness and irritation. 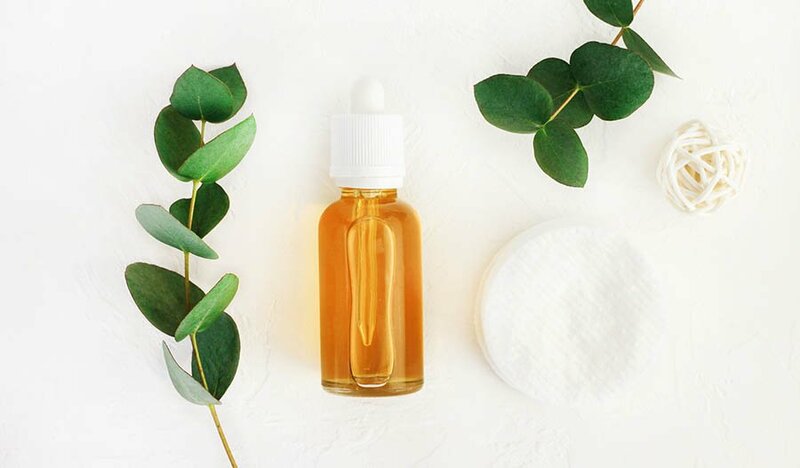 While many people choose to apply this liquid to the face with a cotton ball, others may find that they have better luck stopping acne when it is combined with 10 drops of tea tree oil in a spray bottle. Then, the mixture is sprayed on the face up to three times a day, avoiding the eyes and mouth. The tea tree oil can be replaced with lavender, clary sage or juniper berry if the user desires. Witch hazel may act as a natural antiseptic because of the tannins in it. Therefore, inflammation caused by razor bumps may be stopped. Trying this solution for razor burn is as simple as putting some on a cotton ball and dabbing the affected area. The itchiness from chickenpox blisters may make a person very uncomfortable. Some people find it helpful to treat the blisters with witch hazel. Try this recipe to stop the itchiness of chickenpox blisters. Mix the honey, essential oils, aloe vera gel and carrot seed oil in a spray bottle. Add the witch hazel and shake vigorously until well-combined. Witch hazel may be very calming to the skin along with helping to keep it clean. It can make a great option when trying to stop diaper rash because of its astringent properties. This recipe for soothing diaper rash can be made at home. Put all ingredients in a spray bottle. Spray on baby's bottom before diapering. Shake and reapply each time the baby gets a new diaper. The astringent properties of witch hazel may help it tighten skin pores. Additionally, it may pull the edges of cuts and scrapes closer together. It has anti-inflammatory properties, helping reduce swelling at the sight of the wound. One of the best ways to use it on a cut or scrape is to dilute it with an equal amount of water. Then, pour or dab it on the wound. Applying witch hazel directly to stretch marks and scars may help them shrink by tightening the pores around the scars and stretch marks. Some people recommend applying a small amount of the liquid directly to the skin. Then, cover the area with a damp washcloth for a few minutes. Finally, wash it off. Witch hazel contains up to 10 percent tannins with astringent properties. It may be effective in killing germs that make the skin inflamed. It may also tighten the pores on either side of hemorrhoids, reducing swelling and bleeding. Other evidence suggests that applying it to the skin regularly might help stop psoriasis and eczema. This liquid may also help with the pain from a sunburn. Simply wet a soft cotton cloth with this liquid and lay it on the affected area for 20 minutes up to four times a day. Studies suggest that combining apple cider vinegar and witch hazel may be an effective treatment for getting rid of varicose veins. Some studies suggest that using it regularly on the affected area may help strengthen the blood vessels. People wanting to try this may want to soak a soft cloth in this liquid and apply it to the affected area. Those who have many varicose veins may want to consider adding it to their bath by using this recipe. Add witch hazel and essential oils. Soak in the tub for 15 to 30 minutes. Repeat daily for 30 days or until varicose veins are gone. 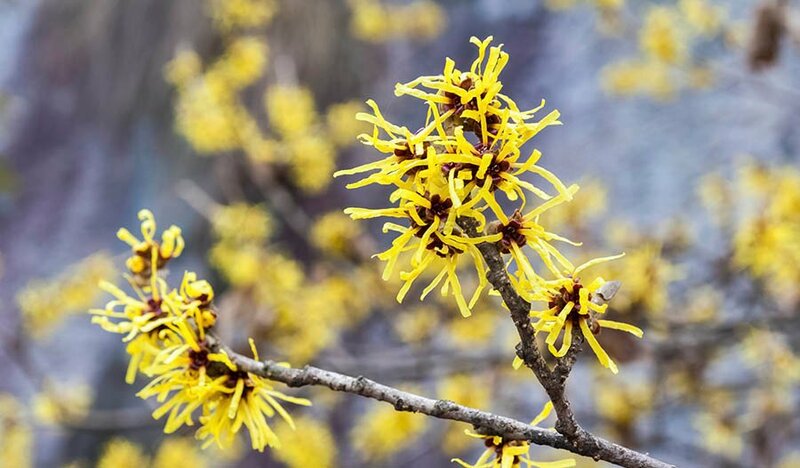 For a long time, people have been using witch hazel to treat dry skin because it may help keep moisture in the skin. 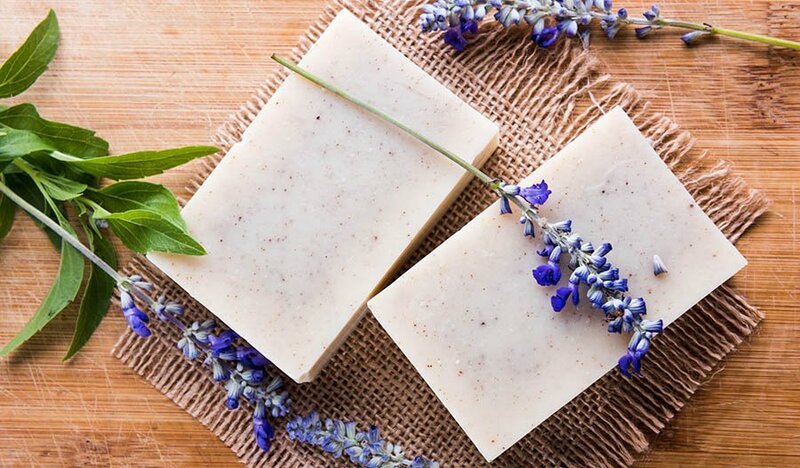 It is easy to make a cleansing wipe to help trap moisture in the skin while getting it clean. This recipe may make a great alcohol-free toner. Bring the water to a boil to sterilize it, and then let it cool. Combine water, aloe vera, witch hazel and castile soap in a bowl. Add essential oils. Stir until well-combined. Cut roll of paper towels in half. Submerge paper towels in the mixture. Place in a container and use to wipe the skin on a regular basis, helping it retain moisture. The thin skin under the eyes tends to collect fluid if people do not drink enough water and get enough sleep. When bags develop here, witch hazel may be the solution to tired, puffy eyes. Rub the liquid below the eye and let it soak for a few minutes. Then, it should be washed off with clear water, making sure it does not get into the eye. Witch hazel is also aversive to ticks. If a person finds one on them, then they may want to apply some to the tick. The tick is likely to loosen its grip, allowing it to be gently pulled off. Once removed, the area may be cleaned with it. People may be able to avoid ticks in the first place by using this tick repellent that also can help keep mosquitoes and other biting insects away. Put essential oils in a spray bottle. Add witch hazel, water and glycerin. Spray on liberally before heading outside. Make a natural all-purpose cleaner at home using witch hazel. Spray the area to be cleaned. This liquid may make a good glass cleaner as well. Simply rub it on the glass or mirror and let it evaporate. Many people find that witch hazel helps them get rid of cold sores. Just dab some on the sore and leave it alone. Its astringent properties may help cold sores go away quickly. Its anti-inflammatory and antibacterial properties make witch hazel good for a deep scalp cleanse. Hair should be sectioned off before beginning. Rub a cotton ball dabbed with the liquid across the exposed scalp. Let sit for a few minutes and shampoo away.